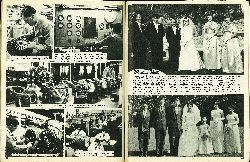 Clare--Davis. 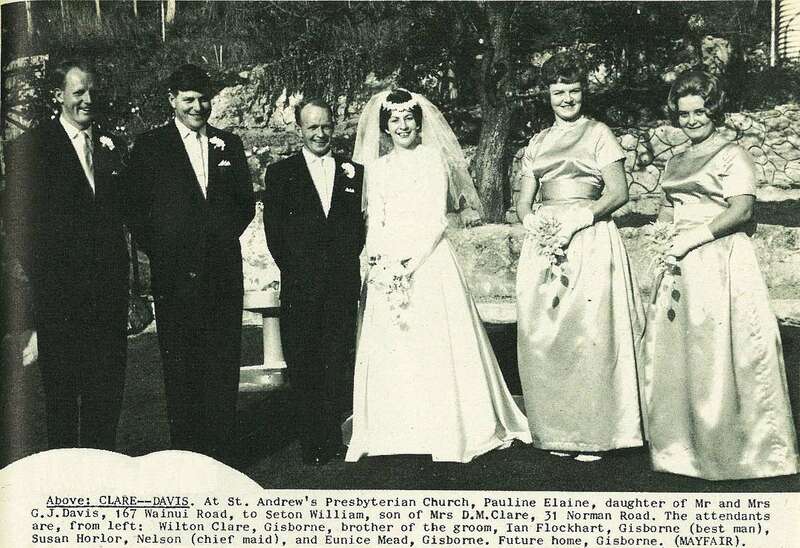 At St. Andrew's Presbyterian Church, Pauline Elaine, daughter of Mr and Mrs G. J. Davis,167 Wainui Road, to Seton William, son of Mrs D. M. Clare, 31 Norman Road. 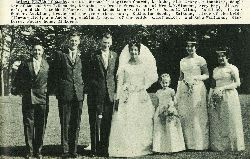 The attendants are, from left: Wilton Clare, Gisborne, brother of the groom, Ian Flockhart, Gisborne (best man), Susan Horlor, Nelson (chief maid), and Eunice Mead, Gisborne. Future home, Gisborne. (Mayfair). 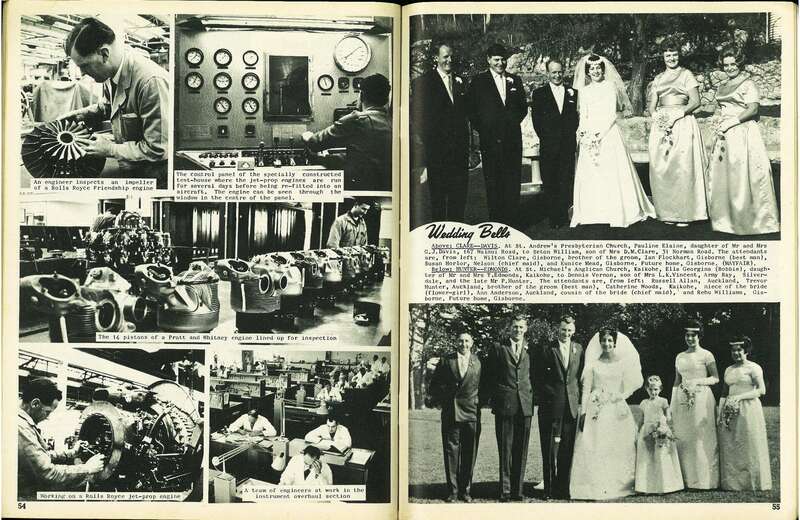 Hunter--Edmonds. 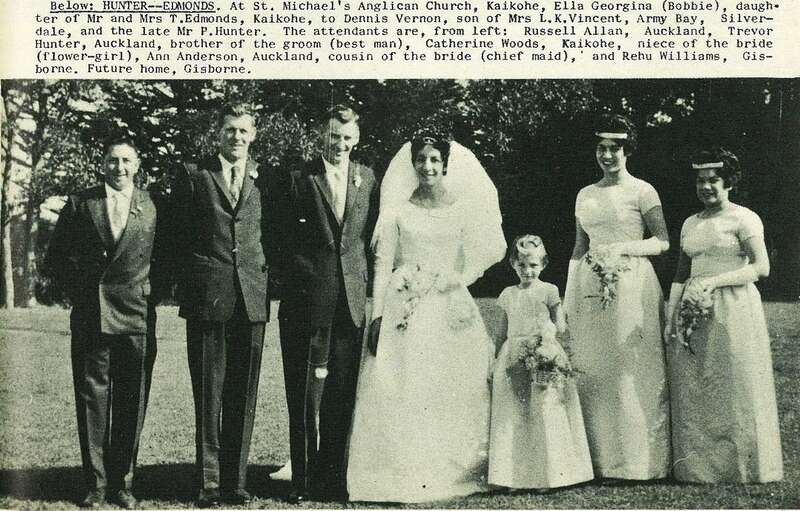 At St. Michael's Anglican Church, Kaikohe, Ella Georgina (Bobbie), daughter of Mr and Mrs T. Edmonds, Kaikohe, to Dennis Vernon, son of Mrs L. K. Vincent, Army Bay, Silverdale, and the late Mr P. Hunter. 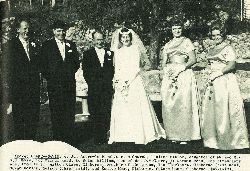 The attendants are, from left: Russell Allan, Auckland, Trevor Hunter, Auckland, brother of the groom (best man), Catherine Woods, Kaikohe, niece of the bride (flower-girl), Ann Anderson, Auckland, cousin of the bride (chief maid)," and Rehu Williams, Gisborne. Future home, Gisborne.